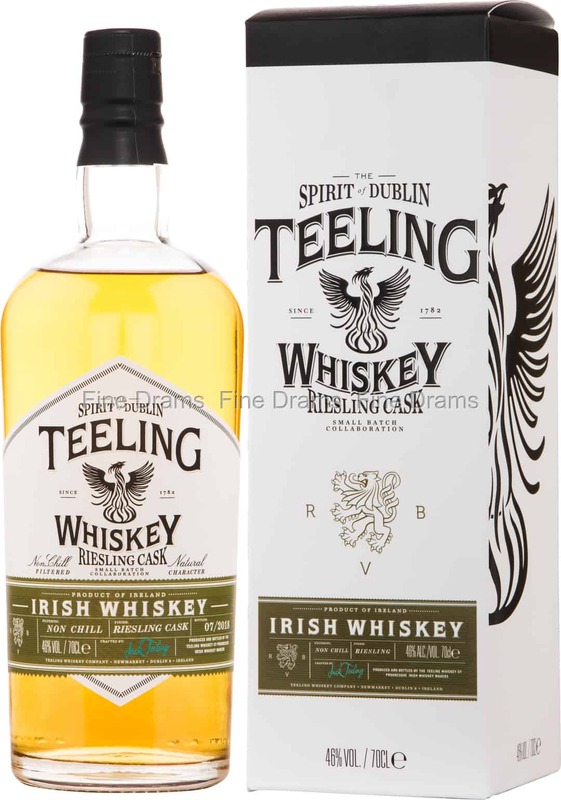 A bottling that forms part of a raft of new releases from Teeling. This whiskey was made in collaboration with Weingut Reichsrat von Buhl, the largest winery in the German Palatinate wine region. This Irish whiskey has been finished in Riesling casks, which have imparted a delightful fruitiness to the dram. Teeling Riesling Cask serves up delicious notes of tinned peaches, apples, white grapes, wine, ginger, star anise, and cereal sweetness. Bottled at 46% ABV and without chill filtration, this is a luscious, yet approachable whiskey. This whiskey was limited to 3,000 bottles worldwide.